← Are you the Farmer? We’re off to France very soon and are taking as much veg as possible with us in the cool box. 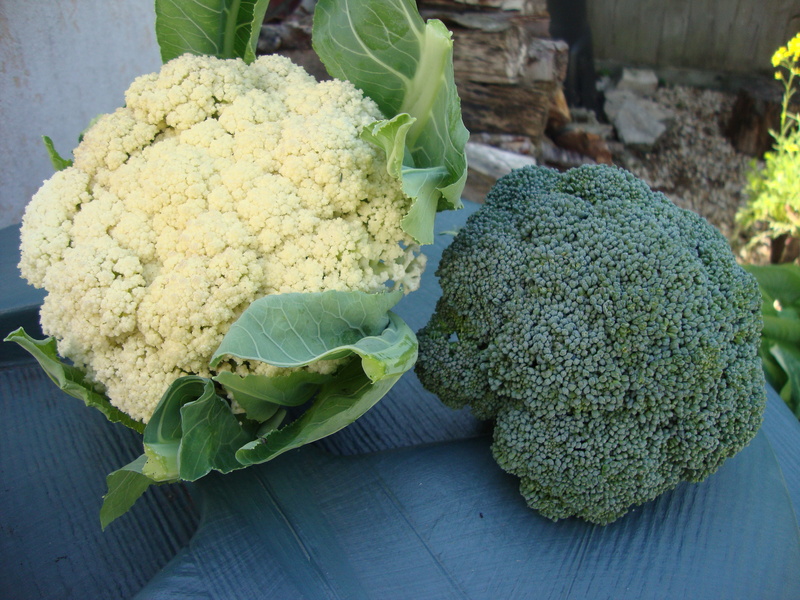 I’ve cut the first cauliflower and broccoli today which I am really pleased with. Pretty much the same size as the supermarket but I bet they taste better! There’s loads to follow so I’m hoping the rest will develop over the next two weeks and I’ve told our friends who are looking after the garden to take what is ready. There’s never a good time to go on holiday when you have a garden (although I say anytime is a good time for a holiday!). I’m sure there will be loads of veg coming to harvest just when we are away but it means I’ll be back to man the defenses against the cabbage white invasion later in the season. I’ve just cut the main head off the first broccoli so it should now sprout more heads to follow on. It’s the first time I’ve grown them so it’s all new but I am very happy with the results so far! 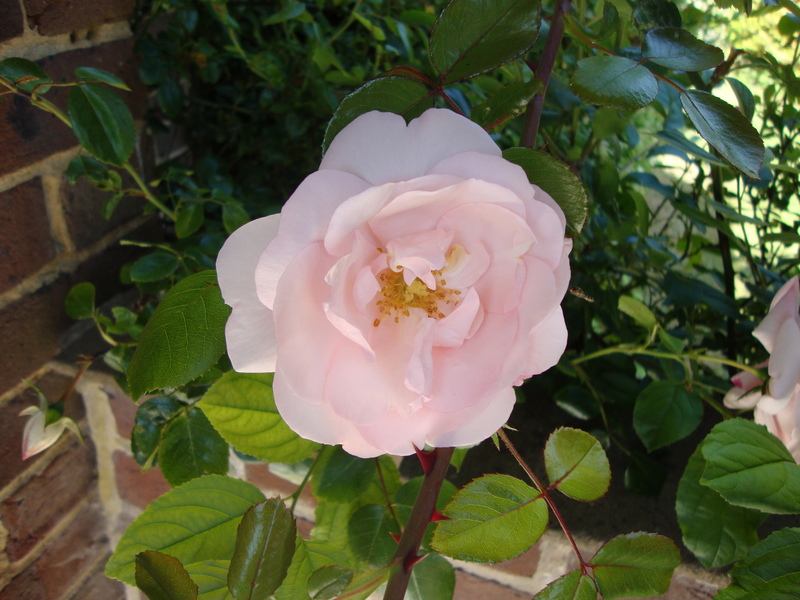 Elsewhere in the garden the rambling rose is in flower. 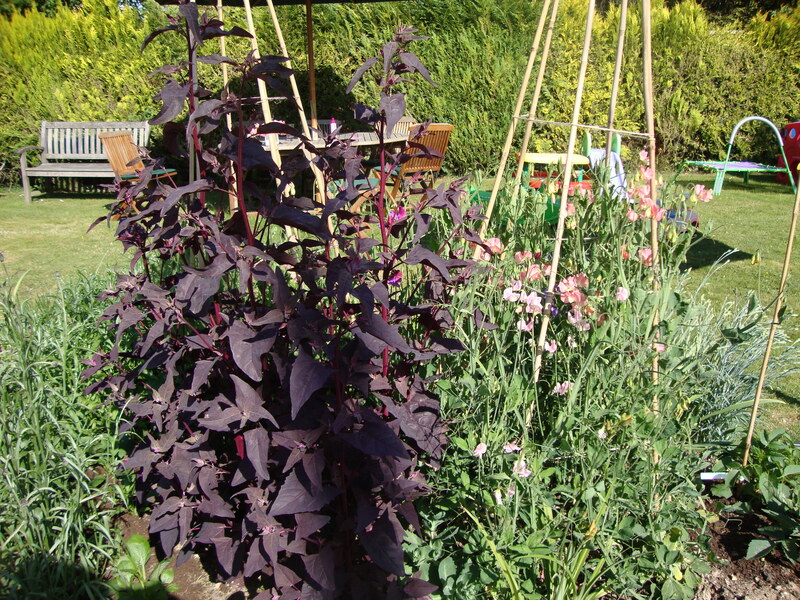 The Red Orach are between 4-5 foot tall now but the Sweet Peas are catching up fast. 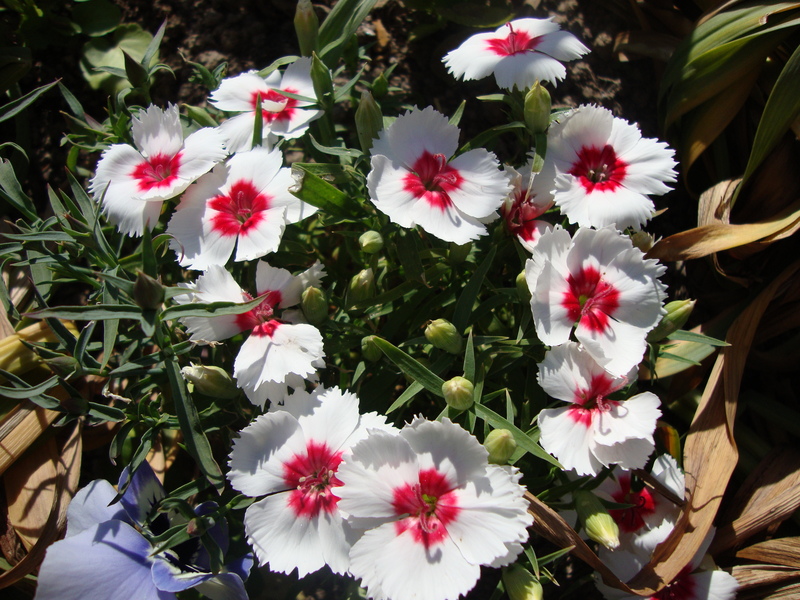 And the Dianthus dotted around the flower bed are in full bloom. 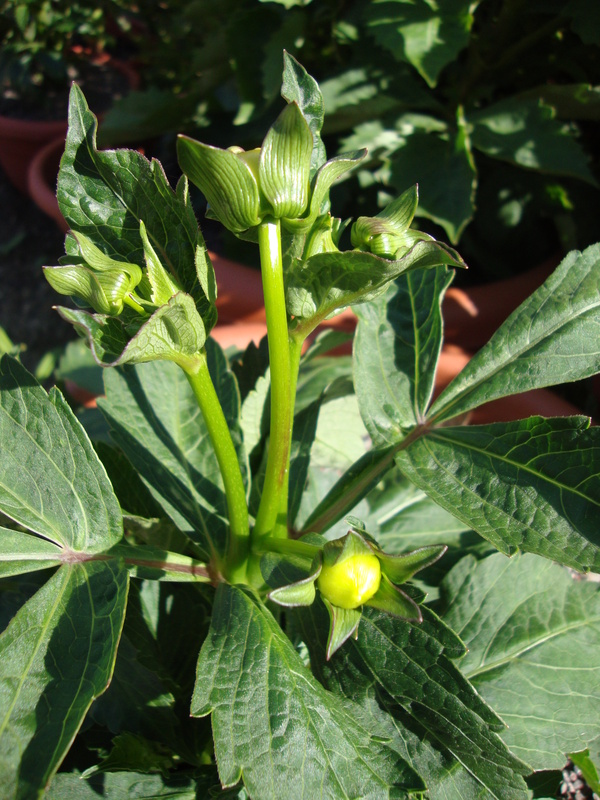 One thing I think I’ll miss in the next 2 weeks is my first Dahlia flower as there are quite a few buds on the ones I started in containers in the greenhouse back in March. Fingers crossed we’ll all see some good weather over the next two weeks, it’ll be “cracking the flags” as I would say. I’m also starting a footnote on posts to keep a record of what I’m harvesting. Harvesting: Spring Cabbage, Lettuce, Rocket, Radish, Courgette, Squash, Calabrese, Cauliflower, Strawberries. This entry was posted in Grow Veg and tagged Broccoli, calabrese, cauliflower, Courgette, dahlia, Dianthus, Lettuce, radish, Red Orach, rocket, roses, Spring Cabbage, Strawberries, Summer Squash, sweetpeas. Bookmark the permalink. Wow You’re harvesting things we have only just planted out. Our dahlias are just pushing through! We did puck our very first strawberries today though and have eaten the first of our potatoes. Strawberries are the best I haven’t tasted many as the girls get most of them but we have loads this year compared to last, been picking a large bowlful every other day for the last 10 days which has been fantastic! Should have said pick – shows how excited I was! It’s easy to get carried away Sue when so much is starting to happen now! They look great, I don’t blame you taking as much veg away with you as possible, you don’t want to miss out. You’ve got some lovely flowers in the garden too. Thanks Jo I’m hoping they’ll all be in full bloom when we get back. Hi Rhiannon, they are great I agree. All looking good! 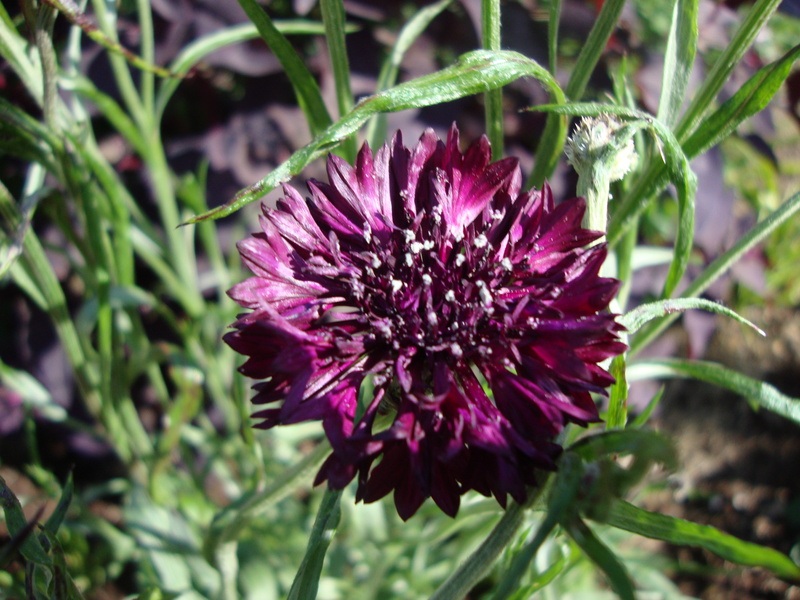 I like the flowers, especially the cornflower and dianthus. Have a wonderful time in France! Thanks Flighty just got back and in the darkness the garden appears to have gone mad, will have a proper look round tomorrow. All in a line now!